If you listen to the news or read the paper, you know that more and more kids are living at home for longer periods of time. We often hear from parents of adult children who want to know how they can set guidelines down with their older kids, and when they should ask them to leave. If you’re the parent of an adult child who is living at home you are probably trying to figure out what your role is and what rules your child needs to adhere to while living in your home — because after all, your kid is grown up now and that changes things. You may be wondering when or if you should ask them to leave. I can’t help but think about my father as I write this. He grew up in Italy, and around the age of 17 he came home one day to find his bags packed. He was told by his parents that he needed to leave and that a train ticket had been purchased for him. He would arrive, he was told, at a destination where he could find employment. For me, it is sobering to discover that the reality for him was that those decisions were made for him by his parents. Back in those days, the whole affair transpired more like a business transaction than a sending off. I gather that my grandparents held the belief that their job was finished, and that it was time for my father to lead his own life. That was the way it had to be — no discussion. I also think it’s fair to say that in no way did it make them uncomfortable to approach my dad’s coming of age that way. Their view was that life was tough for them and now it was going to be tough for my dad — and they didn’t feel compelled to soften or lessen that message. I hope I can have half as much resolve and strength when it comes time for my kids to make that transition. I definitely would like to deliver that same message of “Hey, it’s time to make it on your own,” although certainly in a different way! Most of the parents I talk to in this situation are extremely afraid for their kids. As a result, some of them accept abuse and other inappropriate behaviors in exchange for the relief they experience as a result of knowing that their kids are safe and have a roof over their heads. Just remember, there is no excuse for abuse — from younger or older kids. And in the end it won’t help your child take on life and all of its challenges. In addition, the longer parents are trapped in that situation, the more hostility mounts between the parents and the child — until everybody may be feeling like they never want to see or talk to one another ever again! 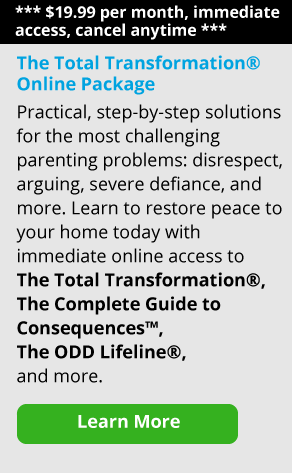 I say “trapped” because many parents feel compelled by obligation to get their child on their own two feet, even in the face of destructive and abusive behavior. Yet, most parents in that situation are tired of living that way. And the child may desperately want to be independent, but probably doesn’t have the skills to live on his or her own. Please share your experiences about what it was like when your teenager or young adult left home or what it’s like trying to get your child to leave home. Does anybody have words of encouragement for parents that are struggling with their own fears and concerns? If you’ve asked your child to leave home, what helped you to decide that it was time?